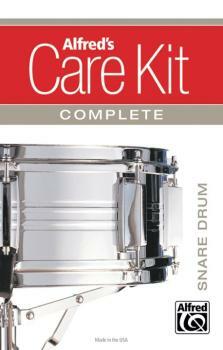 The Snare Drum Care Kit assembles everything you need to properly clean and maintain your instrument, featuring the best music-educator-approved cleaning products carefully selected to create one quick and convenient package. Kit includes: polish cloth, 1 oz. Superslick Lug & Nut Lubricant, standard drum key, replacement snare cord (2), foam ear plugs, and Superslick drum hardware care cloth.